Fountain Hills AZ has come into national attention as eight congregations have come together to do a series against progressive Christianity. Several congratulated themselves on their ecumenism though it appears to be directed against Fountain Hills United Methodist. They also lauded the idea of free discussion but no discussion is had with any progressive Christian churches. Instead each congregation will preach their series, titled Progressive Christianity: Fact or Fiction, on their own. But I thought it would be worth writing a blog post on the six topics they plan to cover into June, from one progressive Christian perspective. The first one is titled Why It’s important that God doesn’t change. To me this particular topic is probably the most important of those covered. Others are more reflective of the 5 fundamentals (of which the term fundamentalism comes from). What does it mean to say God changes and why is it important? Fundamentally it is a question of relationship. To be in relationship is to be affected by another person.To be affected is to be changed because of that relationship. 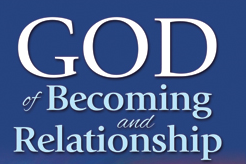 So to say God changes is to say that God is in relation with us, we are in relation with God and it matters for both. If God never changed, it would indicate a God that never is in relation and therefore whether she existed or not, would have no impact. I should note that I’m not simply asserting that God changes. Rather I’d argue that if we are taking about what in reality works to sustain, transform and build up human existence, the only candidates for such a reality would be that which is in relation to us and us to that reality. Which is to say that if God is a saving reality for us, relationship has to be constitutive of it. This indicates that change has to be a feature of God. So why would folks argue the opposite view? I can’t attend these presentations in Fountain Hills AZ but if I was to guess it would be an issue of reliability. They assume a God that you can rely on, whose character remains the same. I do too. But you don’t have to juxtaposition change and continuity. Anything else in experience, including ourselves are marked by both. I don’t see why that should be different for God. We can see in ourselves, the changes in our life as we get older, our relationships impact us, as life lessons take hold and experiences shape our future. Events happen and we are forever affected by them for better and for worse. And we can also trace, the continuities, how our personality remains much the same. When you look in the mirror and see how you’ve aged and say, funny, I feel like the same person as when I was 18, you’re right. You are! And you are different. In process thought, this relationship between change and continuity is identified in God as the consequent and primordial nature of God. God’s consequent nature is the way God changes, is impacted, and relates to the ongoing story of the universe and each one of us. The primordial nature is that which remains the same, the essence, the stable character of God. Both equally belong to God as much as us. So we might say God is always loving, God is always just, God is always to be found in the true, the good, and the beautiful. How that is played out in experience will change in time. The character remains. So yes we can reliably relate to God, we don’t have to assume that God is good today and a moral monster tomorrow. And that becomes the basis of trust, which is required in a relationship. But if you were tell me you did not change, say if you had a new child in your life, I wouldn’t call that a moral credit to you. And neither to God. The reliability of God and the changefulness of God, both belong to her as necessary features of that reality which we can relate to. And it as much describes how we would relate to other people. Now I haven’t covered the Biblical material, which these conservatives churches are lifting up in opposition to progressive Christianity. But the Bible ends up affirming the way God does not change and does change. Both can be found. And I’m curious which passages they will find to present only one view. It may not be passages like “Even so, he pitied them in their distress and listened to their cries. He remembered his covenant with them and relented [i.e., changed his mind] because of his unfailing love. Psalm 106:44-45” This passage refers to the events leading to the Exodus story. And it indicates how God’s character, that of love,or what John Cobb calls creative responsive love, works to respond to the concrete needs of people, in this case, the enslaved Israelites. But I think ultimately to talk about God is to talk about what in reality is worthy of our devotion and trust, that which is of the highest importance to relate to if we would have life abundant for all. And I’d use that as a test when you are presented with theological claim. It’s not how many Bible passages you line up. What matters is whether the claim describes a God that is the best in life that we can relate to. Which is to make God, not the Bible, not the tradition, the object of faith. Thanks for such clear, and for me convincing, thoughts about how me choose to relate to relate and understand God.